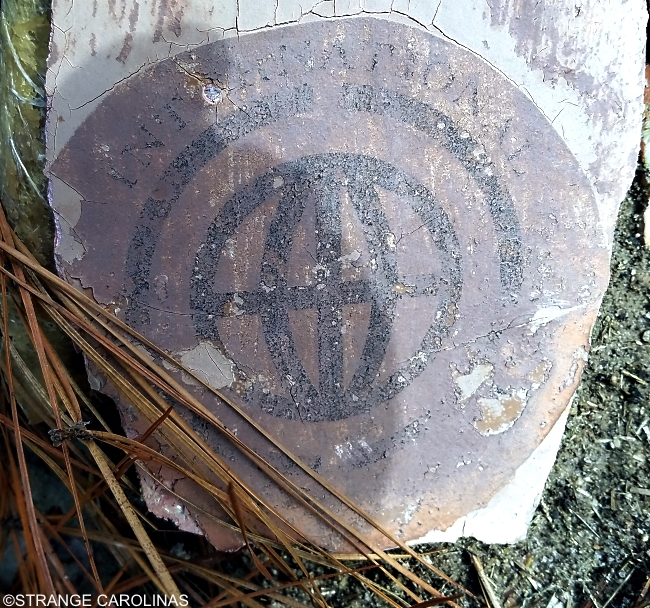 PLEASE NOTE: THIS ATTRACTION IS NOT LONGER WITH US. 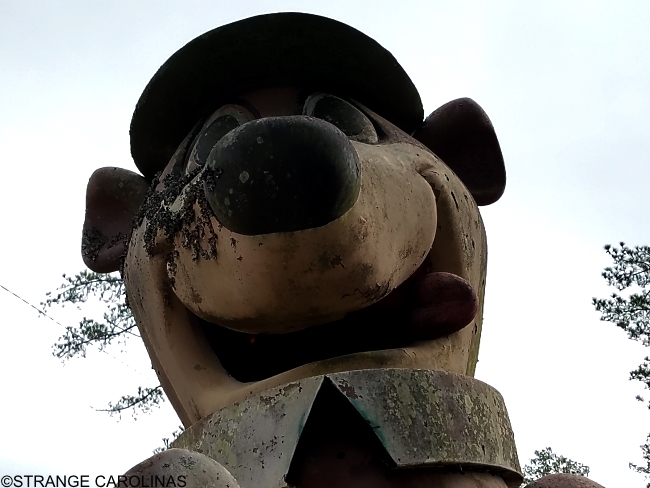 Last summer, we visited the last remaining location of Yogi Bear's Honey Fried Chicken in Hartsville, SC. In its heyday, the chain used fiberglass statues of Yogi Bear, Boo-Boo Bear, CIndy Bear, and Ranger Smith to advertise their chicken and draw people to their restaurants. Like the restaurant chain, these statues are also nearly extinct. No statues can be found at the Hartsville restaurant. 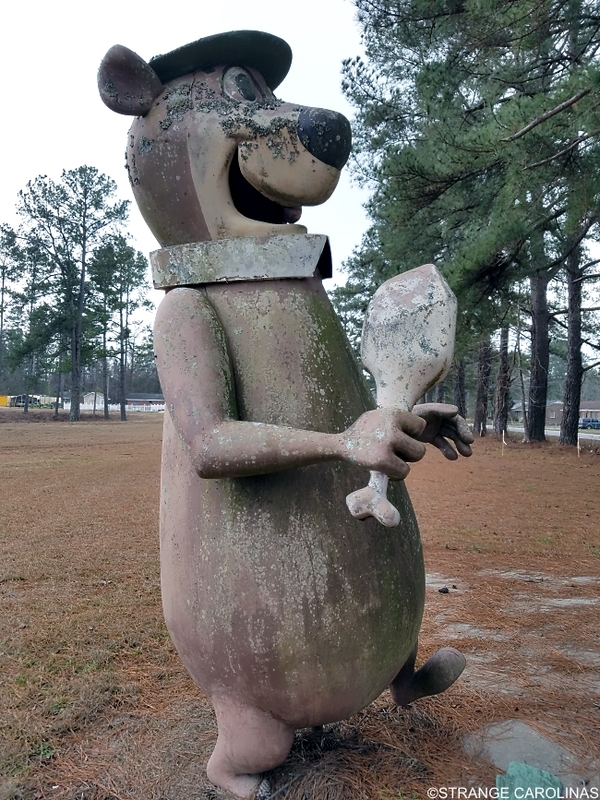 While there are two Boo-Boo Bear statues at Beverly's Day Care in Bolton, NC, those are not "original" statues and were created with molds owned by Bolton's Grahamland. 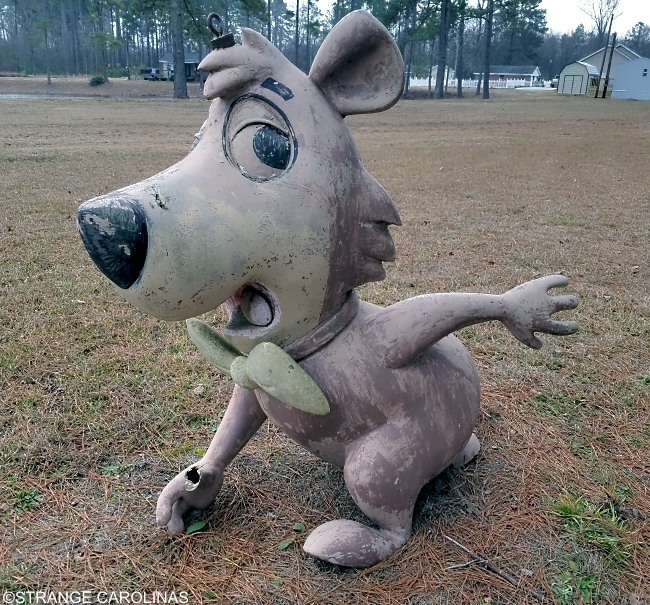 If you want to see fiberglass statues of three of the four characters, you will need to travel to a Rocky Mount mobile home park. 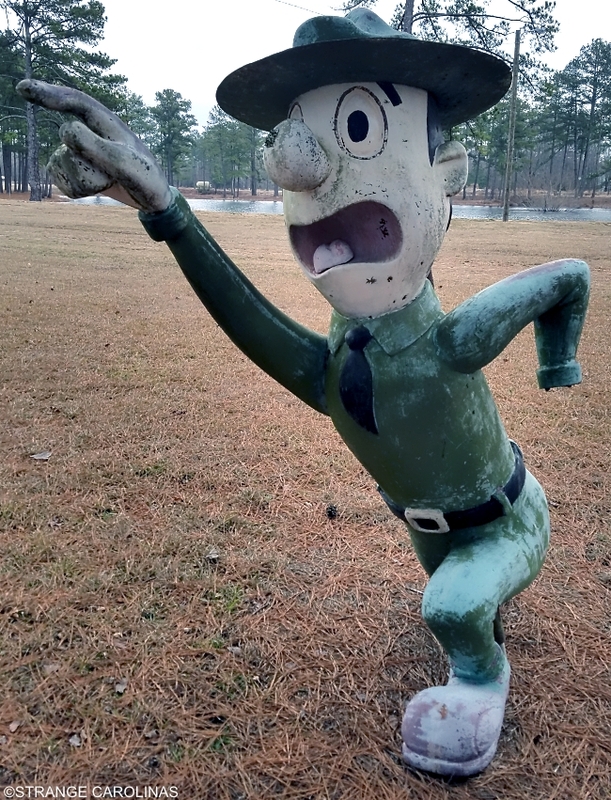 There, in front of a pond, you'll find statues of Yogi Bear, Boo-Boo Bear, and Ranger Smith. They're not in the best shape -- Boo-Boo is missing a thumb, the Ranger is missing a hand, Yogi is missing his tie, and they all look like they've been hibernating from baths for at least three decades, but they're still worth a stop to visit a rare piece of roadside advertising.